The People's Democratic Republic of North Korea has announced a new Public Relations initiative to promote the iconic image of Kim Jong Un and spread goodwill throughout the world. All proceeds from sales of these items will go towards expanding the leader's collection of cognac, cake, cookies, candy and especially twinkies. As one of the Progressives' more progressive role models, I often wonder why his haircut hasn't gone viral. Under Kim Jong Un's rule, North Korea has really gone to the dogs. In fact, so has his uncle. Imperialist lies! There are no dogs in North Korea ... they were all eaten during the Second Seven Year Plan! I understand that it did for a while, but they managed to extract the viruses. 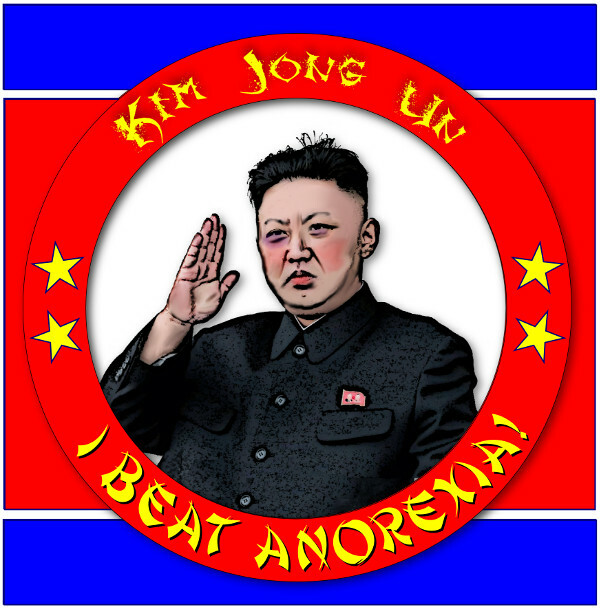 How long is the quarrantine for anorexia?